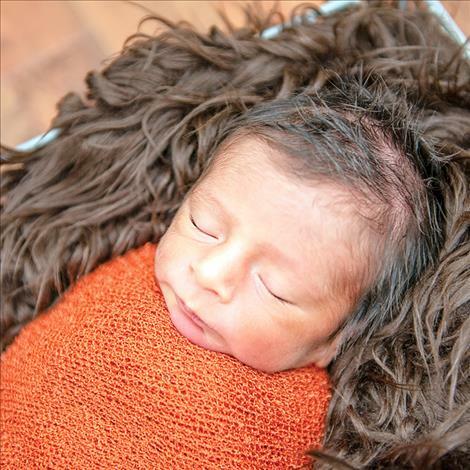 POLSON — BoJai, Luliana, Kannon, Kaori and Keone would like to introduce their newest baby brother, Talos Antli Hando. Talos was born Nov. 12, 2018, at the Nesting Place in Providence St. Joseph Medical Center. He was 20 inches long and weighed 8 pounds, 13 ounces. Talos’ parents are Gail Grant and Tave Hando of Ronan. Maternal grandparents are Susan Pierre and Bruce Grant. Maternal great-grandparents are Marian Andrew and Andy Andrew. Paternal grandparents are Shelley and Jackie Covers Up. 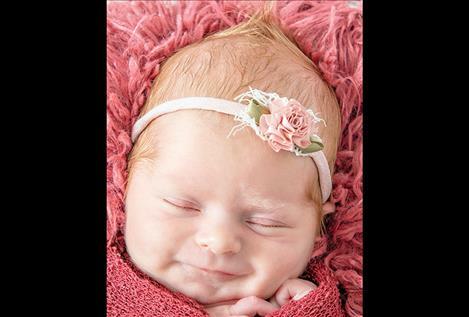 POLSON — Zoie, Trista and Emberly Ricciardi announce the birth of their sister, Iyla Bethany Grace Ricciardi. Iyla was born Dec. 6, 2018, at the Nesting Place in Providence St. Joseph Medical Center. She was 19 and one-half inches long and weighed 7 pounds, 8 ounces. Iyla’s parents are Mandi Wilson and Chester Ricciardi of Polson. Maternal grandparents are Geriann and James Wilson. Paternal grandparents are Dianna Brunner and Christopher Ricciardi. Paternal great-grandparent is Ann Ricciardi. POLSON — Declan Paul Moore was born Nov.20, 2018, at the Nesting Place in Providence St. Joseph Medical Center. He was 20 and three-quarters inches long and weighed 8 pounds, 4 ounces. Declan’s parents are Eristina and Michael Moore of Polson. Maternal grandparents are Shari and Scott Allen. Maternal great-grandparents are Bernice Reed and Darlene and Greer Allen. Paternal grandparents are Kerri and Bob Moore. Paternal great-grandparents are Sheila and Kenneth Cathey. 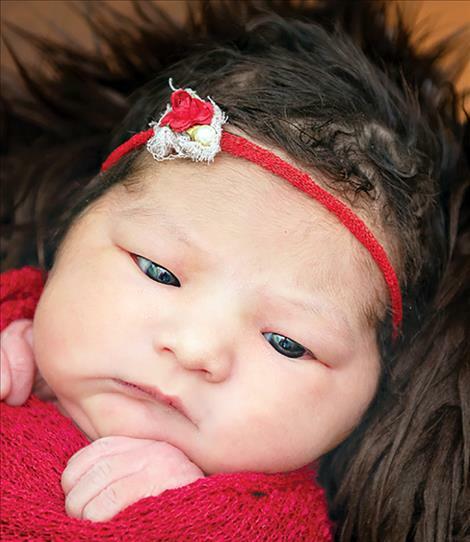 POLSON — Diondrea David Joseph-Nicolai was born Dec. 7, 2018, at the Nesting Place in Providence St. Joseph Medical Center in Polson. He was 18 inches and weighed 4 pounds, 13 ounces. His parents are Delray Joseph and Bowdrea Nicolai of Ronan. Diondrea has a sister, Justina and a brother, Mathew. Maternal grandparents are Delora Joseph and Gale Hendrickx. Maternal great-grandparents are Mary and Delbert Joseph and Ellen and Gale Hendrickx. Paternal grandparents are Stacey Worley and Frank Nicolai. Paternal great-grandparent is Cherle Worley. 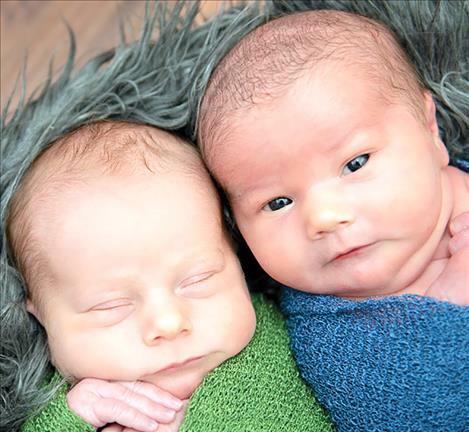 POLSON — Twins, Trace Vincent and Trygg Michael Krantz, were born Nov.14, 2018, at the Nesting Place in Providence St. Joseph Medical Center. 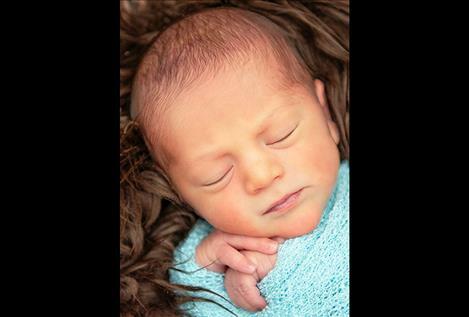 Trace was born first and was 19 and one-quarter inches long and weighed 6 pounds, 6 ounces. Trygg followed 8 minutes later and was 19 and one-quarter inches long and weighed 6 pounds, 3 ounces. The twins join parents Sarah and Caleb and siblings: Vesper, Cade, Cason and Verity in the Krantz home. Maternal grandparents are Patti and Vince Crunk. Paternal grandparents are Sandy and Mike Krantz. Paternal great-grandparent is Bonnie Krantz. 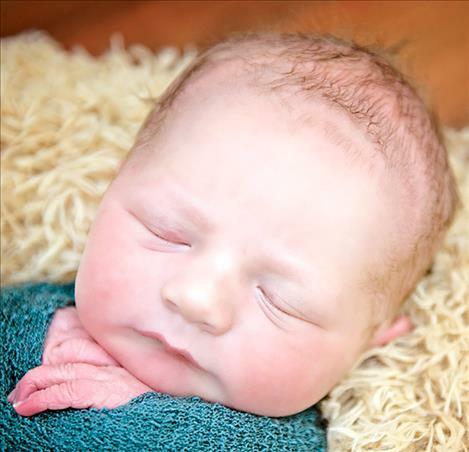 POLSON —McKinley Kepler Hovorka was born Dec. 6, 2018, at the Nesting Place in Providence St. Joseph Medical Center. She was 20 and one-quarter inches long and weighed 7 pounds, 1 ounce. She joins siblings Ainsley, Wren and Knoxson in the Hovorka home. McKinley’s parents are Stephanie Salomon and Zach Hovorka of Ronan. Maternal grandparents are Wanda and John Salomon. Maternal great-grandparents are Darlene and Ray Salomon, Andrea Thomas and Nate Shourds. Paternal grandparents are Sue and Jim Hovorka. 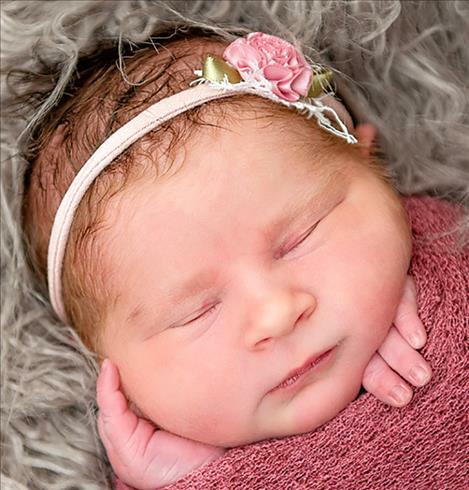 POLSON — Merci Orianna Burke was born Dec. 8, 2018, at the Nesting Place in Providence St. Joseph Medical Center. She was 20 inches long and weighed 8 pounds, 2 ounces. Merci’s parents are Dorissa Garza and Jaydon Van- Meter-Burke of Polson. Maternal grandparents are Ashley Kenmille and Michael Garza. Maternal great-grandparents are Julie Kenmille, Victor Kenmille, Rachel Garza and Mike Charlo. Paternal grandparents are Bernina VanMeter and Francies Burke. Paternal great-grandparents are Helen VanMeter and Lenny VanMeter. 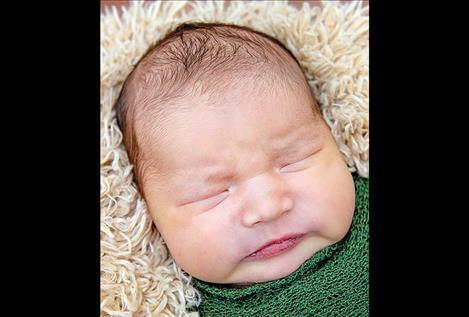 POLSON — Westyn William Johnson was born Dec. 7, 2018, at the Nesting Place in Providence St. Joseph Medical Center. He was 21 inches long and weighed 6 pounds, 9 ounces. Westyn’s parents are Whisper Ivins and Billy Johnson of Ravalli. Maternal grandparents are Jodi Hunter and Carl Ivins. Maternal great-grandparents are Sandy and Terry Mitchell. Paternal grandparents are Teresa Walker and Scott Johnson. Paternal great-grandparent is Maryanne Johnson.